Have you ever wished you could just stand up and tell a Bible or historical story at a moment's notice? John Walsh will show you step by step just how easily you can - like having your own storytelling coach! Dr. Lockett wrote the chapter in the book about "Storytelling in Education." 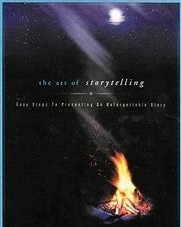 This book is excellent for secular storytellers as well as for individuals wanting to tell Bible Stories. Throughout history, traditional cultures have recognized the role of storytelling in teaching values to children. 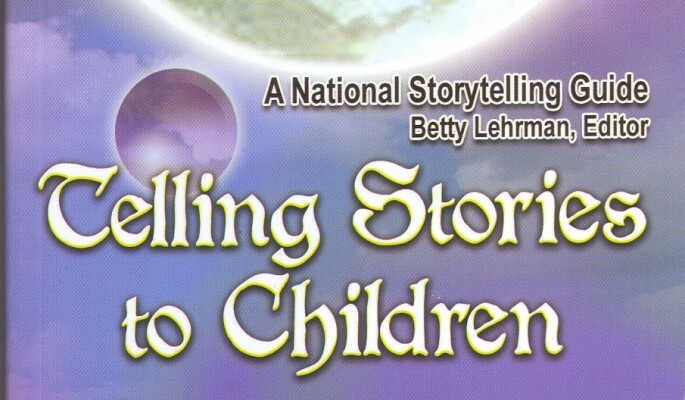 Yet most educators do not take advantage of the natural connection between storytelling, folktales, and character education. 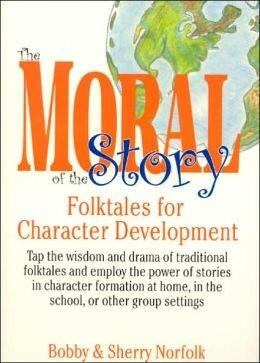 The Moral of the Story provides a user-friendly, hands-on approach to using storytelling and folktales in character education. 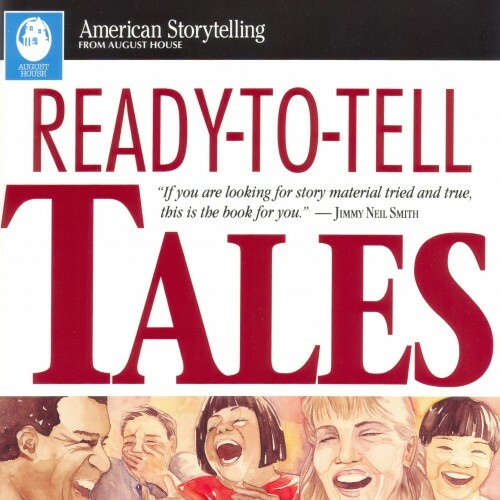 In addition to providing a rationale for this approach, the Norfolks include twelve stories that are to tell, fun, time- and audience-tested, and that work well with a wide range of listeners, from preschool to high school. Each tale is followed by suggested activities or informal lesson plans for extending and enhancing the character education experience. This book shows that, through the use of folktales and storytelling, character education can be fun, enjoyable, and effective. Edited by Katy Rydell - How do storytellers get started? Where do they find their stories? How do they learn them? How do they make their stories sparkle? Gathered together in one volume, some of the finest storytellers in the country guide you through the basics. 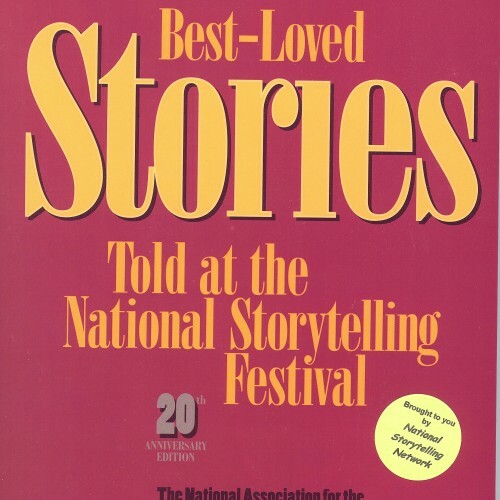 This anthology contains 37 wonderful stories told at the National Storytelling Festival in Jonesborough, Tennessee by some of America's most loved storytellers, including the late, great Jackie Torrence (pictured on the cover).This anthology contains 37 wonderful stories told at the National Storytelling Festival in Jonesborough, Tennessee by some of America's most loved storytellers, including the late, great Jackie Torrence (pictured on the cover). These are the same unforgettable stories that audiences honored with thunderous applause during two decades of the festival, all bound together in one award-winning book. It is a "must have" for every primary and middle grade literature teacher and every parent trying to "home school" young learners. The stories come from a rich variety of sources and backgrounds, each distinctively adding to the flavorful mix of wit and wisdom contained in this robust collection. 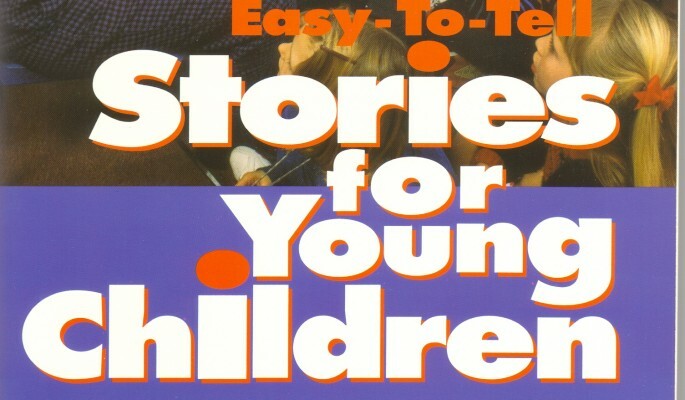 This book introduces a dozen simple stories to tell young children. The structure of the book was kept simple to help beginning storytellers. Ideas about when and how to use the stories in the curriculum make the book friendly for teacher use. Simple songs and actions to help tell the stories are included in the margins. 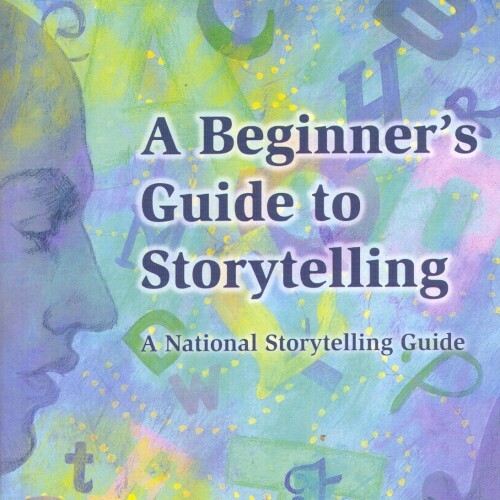 This is a great starter book for new storytellers and for beginning teachers. A collection of classic books that promotes phonemic awareness and builds the foundation for reading success, Published by Scholastic Singapore, 2014. 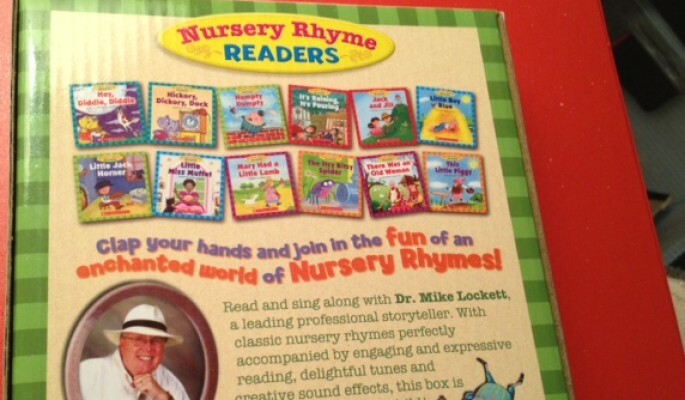 Scholastic says, "Read and sing along with Dr. Mike Lockett, a leading professional storyteller. With classic nursery thymes perfectly accompanied by engaging and expressive reading, delightful tunes and creative sound effects, this box is a must have for every child." Edited by David Holt and Bill Mooney - Anyone who has watched a master storyteller entertain an audience with only their voice as a tool has wondered, "How do they do that?" This book gives the answers Photos and short bios are given for more than three dozen wonderful American storytellers. David Holt and Bill Money assembled this great collection of multicultural stories. The storytellers included in this book freely give their permission for others to re-tell the stories. They simply ask that proper credit be given for the source of the stories told. Tips for telling the stories and suggestions for performing them make the book extra special for classroom teachers. 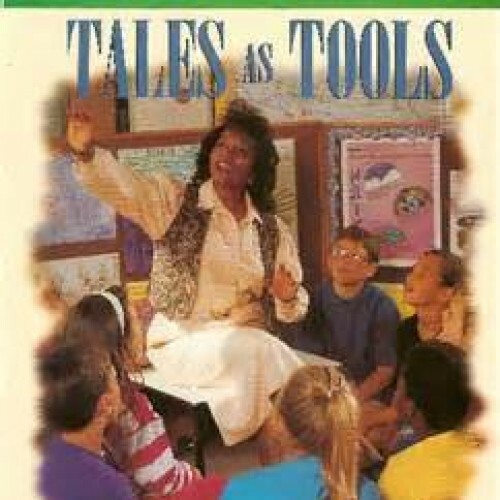 This book edited by Sheila Dailey teaches how to harness the power of stories as a teaching tool. Stories nourish young imaginations and intellects. They spark curiosity and interest in math and science. Tales bring history to life. They enhance reading and writing abilities. They aid language development and improve listening skills. Storytelling makes learning more fun. Contributors to this collection include veteran teachers of grades K-12, professional storytellers, educational consultants and others who show how you can successfully weave stories into any classroom subject. The book is an indispensable teaching tool in public and private school classrooms as well as for home-school classroom teachers. Edited by Betty Lehrman - Do you want to communicate more effectively with children? Excite a child about ancient folktales? Share family stories with your nephew or grandchild? Make science come alive for your class? Wow an audience of four-year-olds or fourteen-year olds? by Heather Forest - Fifty folktales and parables - selected by professional storyteller Heather Forest in this August House production. 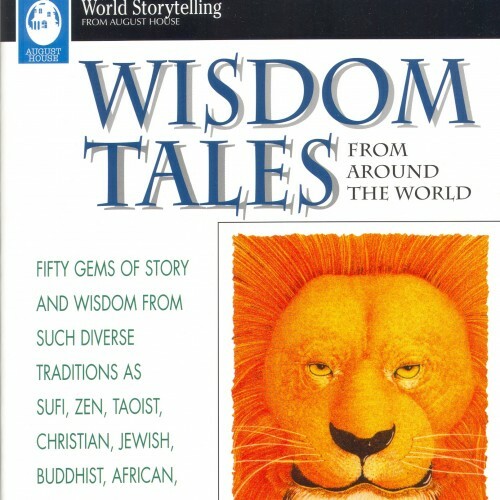 Tales in this collection represent the wisdom and diversity offered by Christian Storytellers, Jewish, Buddhist, Sufi, Zen, Taoist, Native American, African and so many more... Dr. Mike Lockett says that this book should be a favorite for every new teller. Each story in this well-thought through collection is short and easy to retell, thanks to the careful re-crafting of the tales by Heather Forest.